We are finally done in the girls' room! Hallelujah! I was beginning to think this was going to take forever. 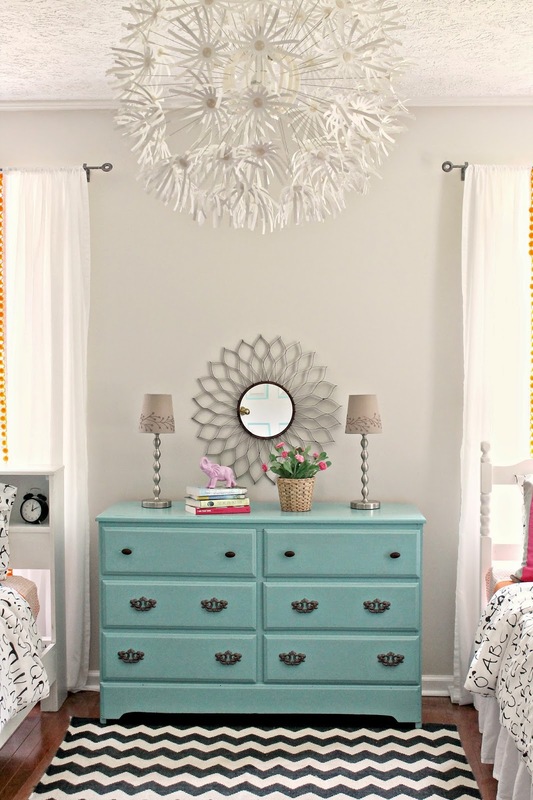 The "bones" of the room remained the same, but the girls really wanted to freshen up their space and have it reflect their tween and teen personalities more. The makeover actually started before you even enter the room. 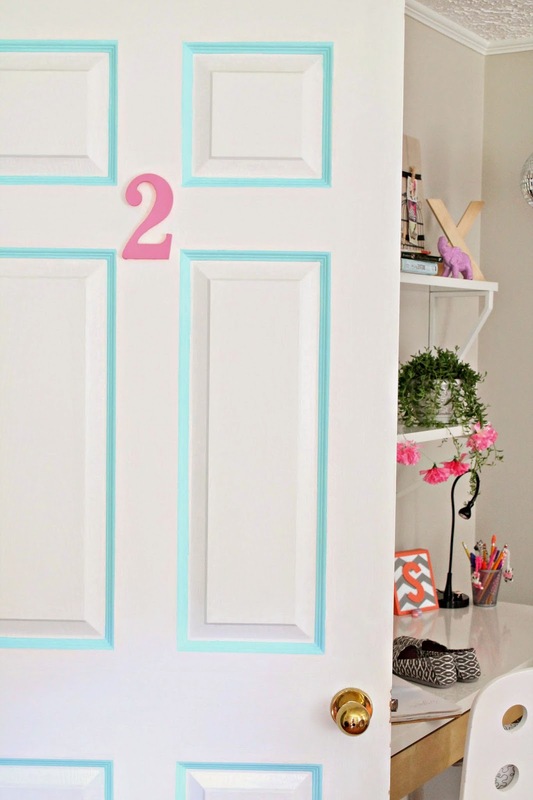 Our oldest daughter is a Pinterest fan and had seen a photo of a painted door that would give the bedroom more of an apartment vibe. She loved it and wanted to try the same technique on their door. So, she taped off the panels and began painting. They both decided on the number two since they are two sisters sharing the space. Then we freshened up their seating area with some new pillows and art work. This great little love seat converts into a bed for spend the night guests. The beds got a little lovin' by adding a graphic duvet cover and more fresh pillows. We pretty much left everything else the same. The biggest change-up came to their shared desk area. They spend a whole lot of time at their desk and they needed some shelving to de-clutter the space. They also wanted to incorporate a t.v. into the area so they could watch movies together from bed. 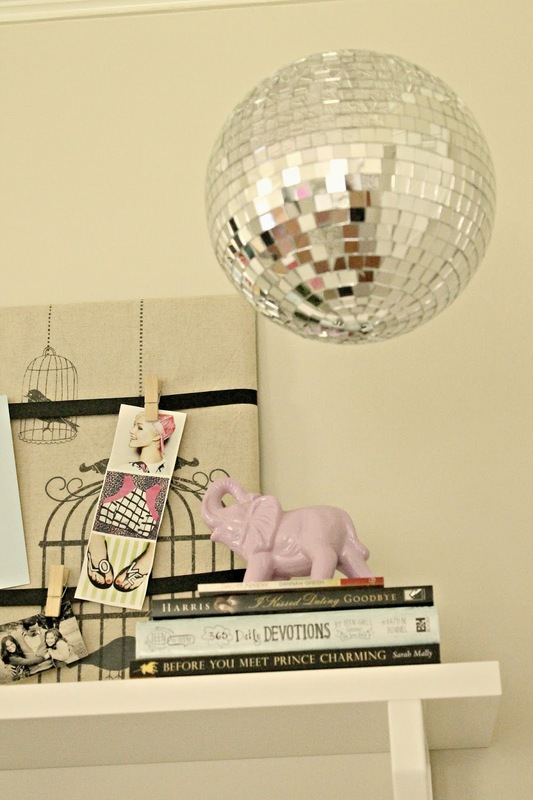 The disco ball, well every teen just needs a disco ball right? The room reflects their vision now and they are both really pleased with the result. What do you all think? Thank you so much for coming by to see their transformed space! Have a great week y'all! Curtains- IKEA and I added the pom poms. See how here. 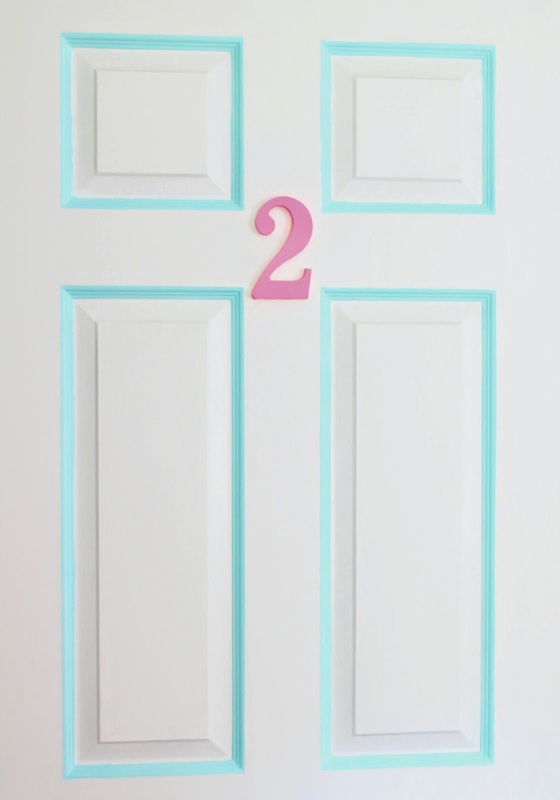 I love the painted door! Also, the seating area is adorable. It looks like a lovely room for tween/teen girls. Thanks so much! So glad you stopped by this morning! We have two very creative girls! They loved working on this project together! Thanks so much for visiting! It can out beautiful Amy! I love what Olivia did with the door. I have never seen that before. Very cute! Love the "apartment" door! Those duvet covers are also great! Thank so much for coming by for a visit Christy! Feel free to stop on over at my blog. It's always fun to get new visitors! So happy you came for a visit Danielle, and I really hope you enjoy the Survive And Thrive On One Income series! Very cute! I love this. My ten year old girls share a room and are asking for an update. This gives me some ideas! So happy you could come for a visit! What a great room! So much detail and that sitting area...what a dream for any teen! Love their desks area as well. A space they will never want to leave. Thank you Deb! The girls' are lovin' it! couldn't help but notice the shoes. love the shoes. & the bag. hope your girls enjoy their freshened up shared space, and i'll be borrowing some ideas for my daughter's room - she turns fourteen in a few days. Layla, we LOVE company! And please give your daughter a big hug from all of us here at The Little Farm Diary! Happy Birthday! Thanks so much for stopping by!! I have been busy with work. I work a Saturday for a co worker to attend her grand child's birthday party and it put me on a stretch of work 3, off 1, work 4, off 1 and work 3. This is my last night and I finally get 3 days off in a row. It is hard with only being able to sleep all night for one night at a clip and I am getting too old to do that!! LOVE your daughters's room!! It looks like it came right out of a magazine!! Beautiful!! Debbie, I love when you visit! You ARE working too much. How are you going to enjoy that beautiful porch of yours if you're working so much? Thanks for commenting today and have a wonderful week! Your daughters room is just lovely! Perfect for their age. Bright, fun, and full of style! Love the door. We'd love to have you share at WIW, hope you can make it. Thanks so much for the invitation Patti! Thanks so much Karla & Karrie! So happy you stopped by! This is such a beautiful room! Love the light fixture and wall galleries especially. It's all so pretty! Where did you buy the chicken wire for the one frame on the wall? I've been to two farm stores and they don't have the hexagonal style. Thx!! Kendra, I'm so surprised that you've had no luck finding the chicken wire. It's also at Lowe's and Home Depot if you haven't tried those yet. Good luck and happy shopping! There is so much to love about this room. The seating area is divine and a great idea! The drawings on the wall with washi tape is so cute! 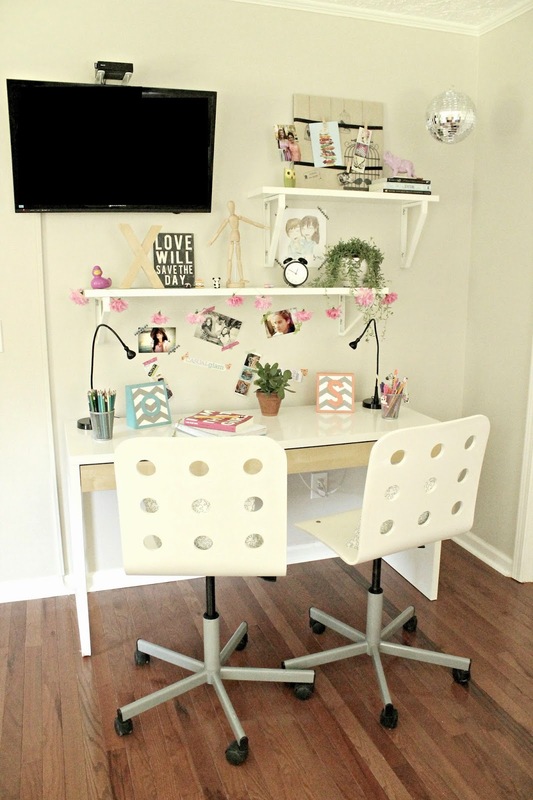 The desk is a great idea and love the chairs. So much inspiration here. I am pinning for sure!!! My girls share a room as well so this is perfect inspiration for me. That is such a fun room! Amazing job! Thanks Elise! The girls' are lovin' it so much! This is a beautiful room!! Enjoyed reading about it!! Love your blog! GDay, I'm loving your girls room and enjoyed reading about it. such a fun room and you did an amazing job! Thanks for coming by from G'Day! 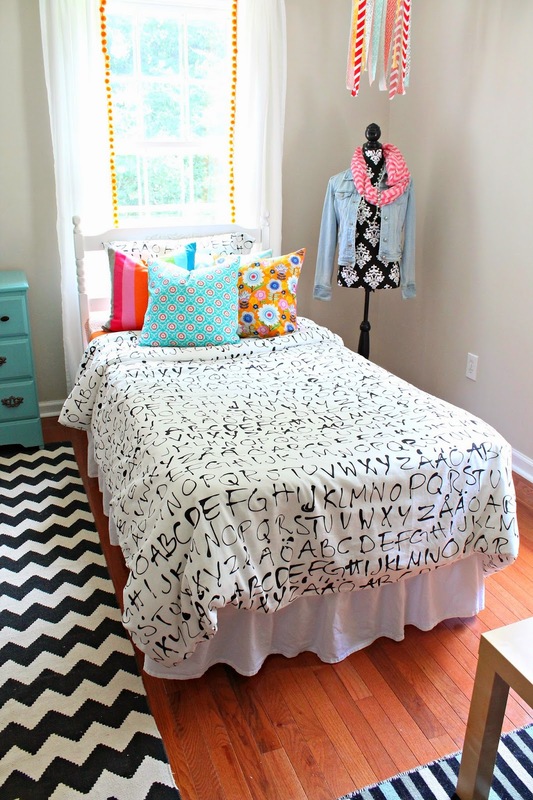 Love this fun space for your girls - I'd have killed for this room growing up! Visiting from TT&J... Rhonda @ home.made. Thanks for hopping over Rhonda! Love the aqua with the orange, and all the fabulous and lively pattern mixes! Wonderful redo!! G'Day Poppy and thank you! 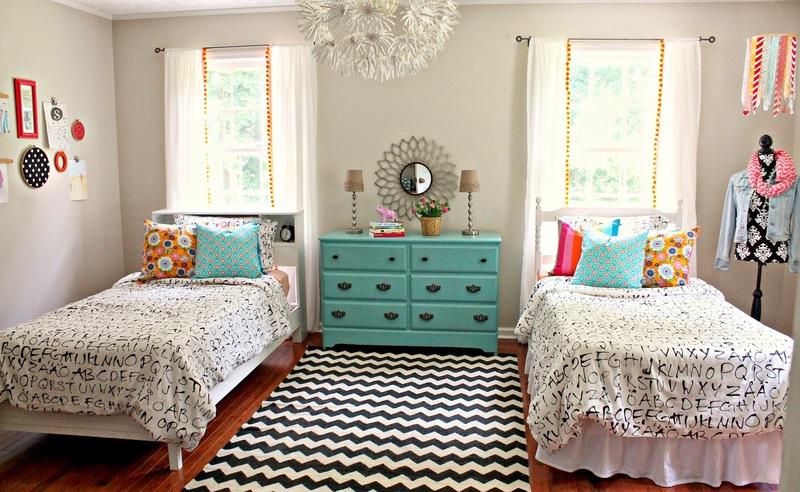 Love the chevron rug with the mint/teal drawer. What a lovely room! 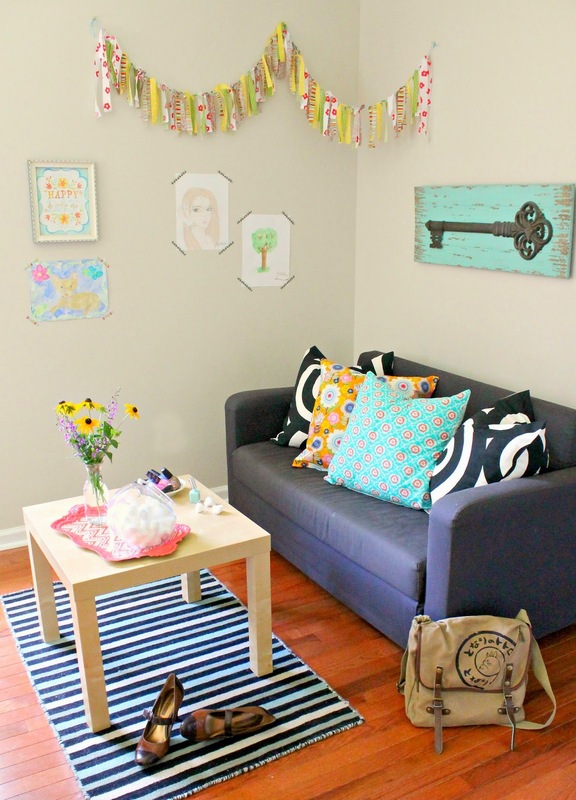 I love how bright and cheery this room is! You have lucky girls. Please come share at our weekly Anything Goes party! What an honor! Thank you Amy and thanks for hosting the Link It Or Lump It party! This is wonderful ~ so colorful and fun! Thanks for stopping by Amanda! So many amazing inspirations at My Favorite Things this week! 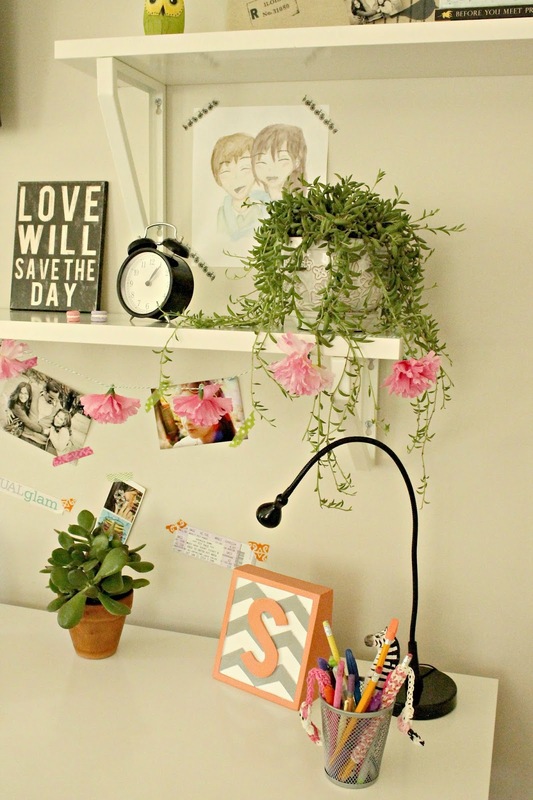 This space is gorgeous and so fun! Love all the feminine touches. I bet the girls don't mind sharing something that nice! I'm so grateful that our girls have always been the best of friends! Praying it is always so! Thanks for visiting Rachel! 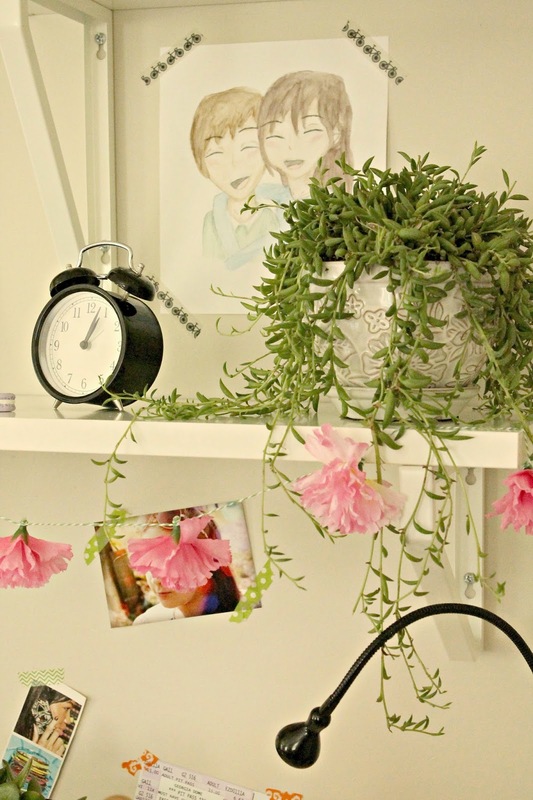 i am in love- what an adorable and happy space! your textiles are perfect!!! Thanks so much Cassie! There IS a happy vibe in that room now! Oh, pinning! Thanks so much for the pin Michele! Your girl's room is so cute and feminine and modern. I can't imagine any girl not adoring a room like this. And I LOVE the door ~ it's not too flashy but personalizes it for entry into their space. Great job!!! Thanks for sharing it at Making Monday. Have a great week. Thank YOU Lori for hosting Making Monday! Such wonderful inspirations!! I'm overjoyed Julie! Thank you so much for stopping by today! I love this!! I am definitely pinning this for later. I love that they share a room. Right now, we just have one, but if we have ever have two girls, they will probably be sharing. Our girls are so close that I'm not sure one can breathe without the other~ ha! They LOVE sharing a room! Thanks for visiting, April! Oh my gosh, this room is absolutely beautiful. 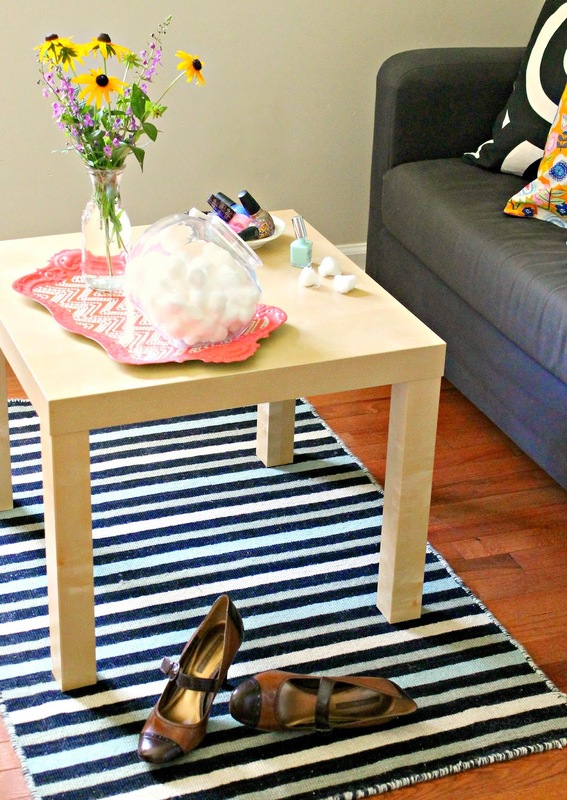 I love the aqua dresser with the chevron rug and pops of color. Your girls are so lucky to have such a fun room to share. I would love for you to link up to Your Designs This Time on Monday's and 8:00. Thanks so much Katie! I'd love to link up on Monday! Thanks so much for visiting! Julia, that's so wonderful! Thank you for the feature! I LOVE Merry Monday's! Hi Amy. Just wanted to lyk that you're one of my feature picks for Merry Monday #16. We appreciate you linking up with us each week and hope to see you at the party. Thank you so much Erlene! I'm so honored! awww I luv this sweet room! I am redoing my twincesses room right now so this was inspiring thanks! 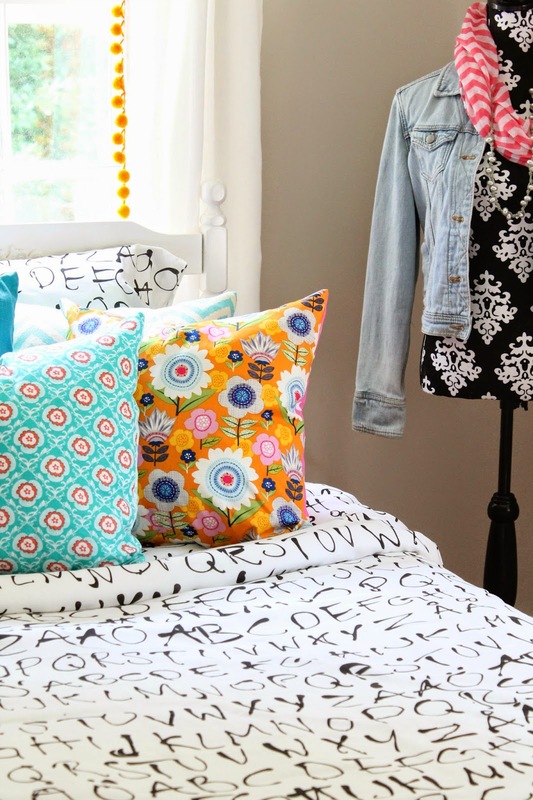 I love this for my tween! I'm pinning it for sure! Where did you find the mannequin? I know my fashionista would love it! The mannequin was a find at Hobby Lobby and with our 40 % off coupon, it was a steal! Thanks so much for dropping by this morning! Do you remember the color you used on the dresser and door? The room is amazing! Beautiful!! Do you happen to know the paint color you used on the dresser? Thanks!! The dresser is BM Majestic Blue. In my opinion, it's a true rich turquoise. I've never tired of it! Thanks so much for stopping by!